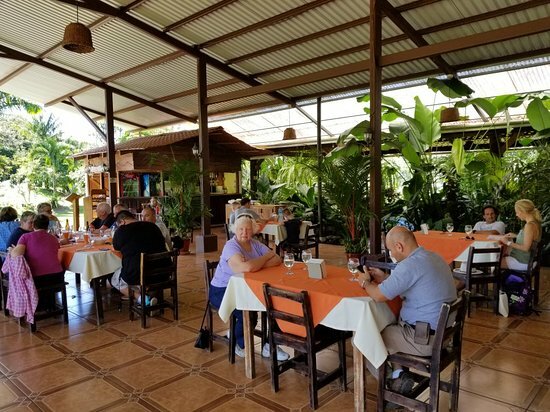 Located near the Tabacon Hot Spring hotel, El Novillo del Arenal provides locals and travelers with excellent foods at unbeatable prices. If you were to compare it with other restaurants in the area, you would label it cheaper than them. Yet, it offers the best dishes in the area. So why suffer when you could savor flavorful foods without breaking your pocket? 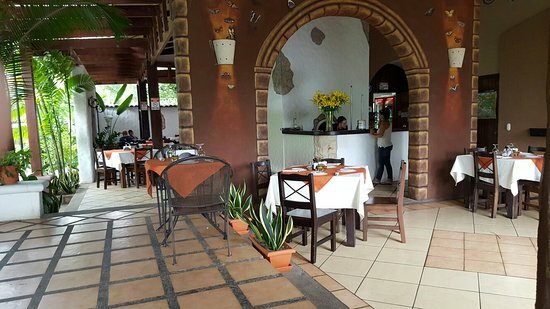 With that being said, the next time you are around La Fortuna de San Carlos, look no further; the restaurant is right there for you. Given its large space, the restaurant can hold a lot of people. So, you can go with as many of your relatives as possible. You need to make a reservation, though. 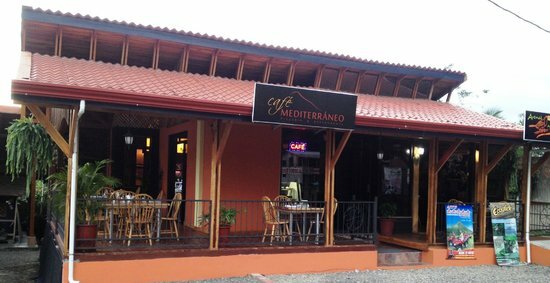 Despite its location in La Fortuna de San Carlos, a place well known for most of its bland food spots, Restaurante Cafe Mediterraneo is the exception in this regard. It offers unbeatable dishes at affordable prices. 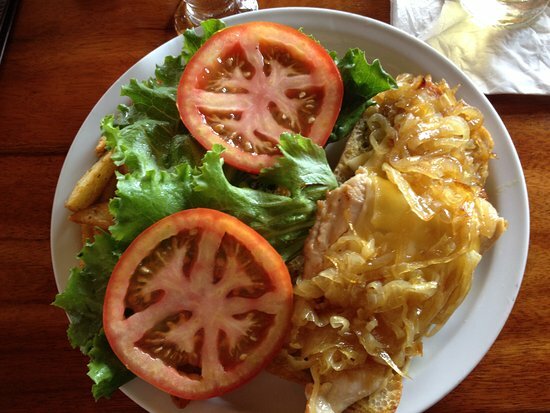 Given its international and local cuisines, the foods are suitable for the travelers and the locals alike. So, if you are from the US and want to feel home, this is the place to go. 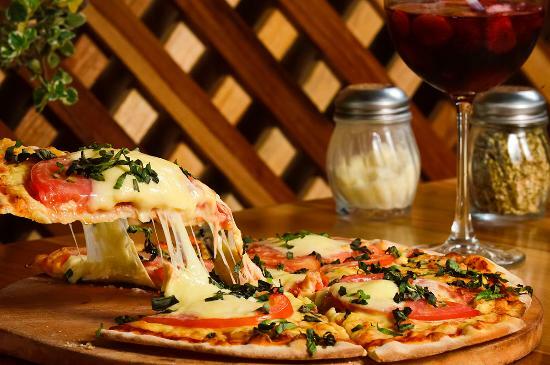 The menu offers pizzas, American coffee, foccacia, homemade pasta, coconut flan, salads, and much more. To whet your appetite, you can order the salad, which is fresh and delicious. Then, you can ask for the homemade pasta, which is arguably the best pasta in the entire area. Since the menu has various thin crust pizzas, you can either choose veggie pizza or meaty one, both of which are out of this world. As for desserts, you can either get coconut flan or American coffee. To your order, you can add your favorite wine. The restaurant accommodates the clients with everything they need. The staff welcomes the visitors and guides them to their seats. With the handy menu, they can quickly make their orders. Those who need help choosing their meals can rely on the experienced staff to guide them. As the clients watch the gourmet their dishes, they are amazed to see him prepare the pizza in the oven. Thanks to their choice in support of the staff, they are satisfied with their orders. Organico Fortuna, as its name implies, excels in healthy, quality organic foods offered at affordable prices. It’s a perfect restaurant for both vegetarians and meat eaters. 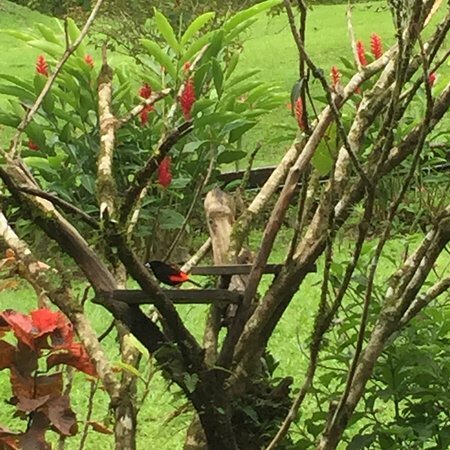 Given its location in La Fortuna de San Carlos near the La Fortuna waterfall and the Arenal Volcano National Park, it attracts many travelers in addition to its locals. 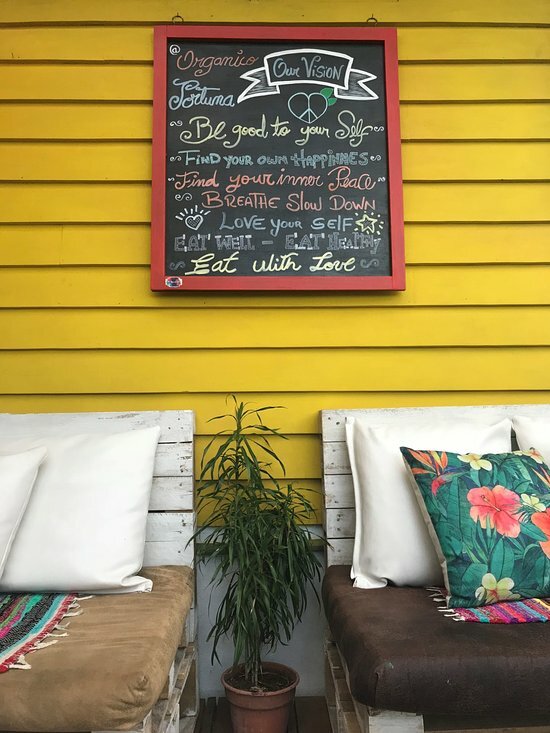 The restaurant has a rich menu, offering Energy bowl, rice, a cinnamon roll, beans, mahi-mahi tacos, veggie pasta, vegan sandwich, falafel, salad dressed with tasty fruits, ice-cream, plantains, and much more. Though the names of the foods seem to be common, their flavors are undeniably out of this world. You can order veggies with Quinoa. They are perfectly cooked with coconut oil, making them even more delicious. You also need to order the mahi-mahi tacos. Probably, they are the yummiest fish you can ever have at the restaurant. The ice-cream is perfectly topped with raisins and nuts, the flavorful dessert; the falafel sandwich can best be enjoyed with a drink of your choice. With the restaurant’s many beverages, you can ask for the smoothies added to your entrée. It is so energetic. You can also order yummy, organic coffee, which is prepared with almond milk. The staff is so knowledgeable about the organic foods. They cook and serve their dishes with excellence and passion; they provide the clients with anything they desire. What’s more, the staff also has a shop offering teas, snacks as well as clothing. So, the visitors can buy some of the items and take them home. 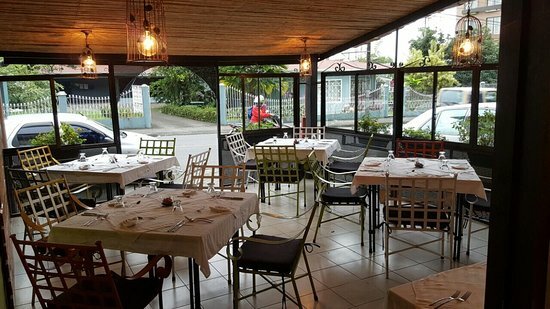 Once located on the jungle side of Fortuna, now in the center of the town, Nanku Restaurant offers quality, breakfast, lunch, and dinner at unbeatable prices. 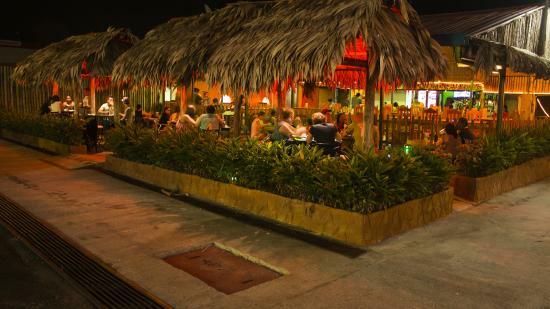 Thanks to its location, the spot has been the main go-to restaurant for both tourists and locals. The menu provides clients with foods such as Quesadillas, beef wraps, shrimp, cocktails, margaritas, ceviche, beer, chicken, and much more. The food is cooked to perfection with fresh, thought-out ingredients. You can grab a couple of drinks so as to whet your appetite. Then, you can go for quesadillas, which is huge and very flavorful. You can’t miss out on the beef wraps. They are out of this world. Since they are dished up large, you can either share with a friend or finish them the following day at home. Surprisingly, you will find them still tasty despite being cold. As for beverages, you have plenty of options. If you drink alcoholic drinks, you can order sangria from the great selection of wines available at the spot—you can get other kinds of beer, too; if you drink non-alcoholic drinks, you can either grab flavorful cocktails or margaritas. The staff is very hospital. When new clients arrive, they give them warm greetings and quickly seat them. Whether they go for lunch or dinner, they have great treat. The staff offers to help them choose the best dishes out of the spot, which are then brought to the table in no time. 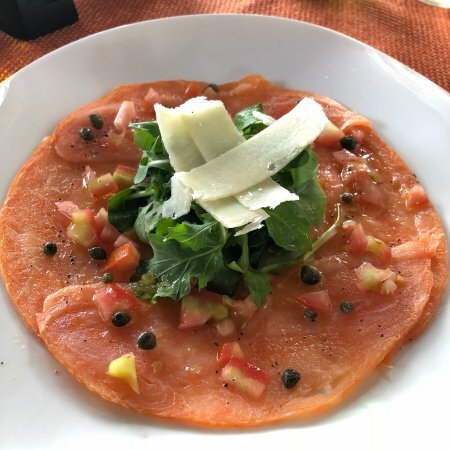 Located right on the main road when coming from the Arenal Volcano National Park, Anch’io, a restaurant specializing in authentic Italian pizzas and other kinds of food, is an easy find. That said, it is a famous spot in the area; it would be wise to make a reservation before heading for meals. The menu provides clients with pizzas, lasagna noodles, spaghetti, chicken, mushroom, Caprese salad, sausages, and much more. For appetizers, you can grab carpaccio, which comprises in spaghetti topped with chicken and broccoli. As a specialty, the spot has different and excellent pizzas, which are made with fresh ingredients, allowing clients to customize their orders. For example, you can order margarita pizza, perfectly prepared on the wood. Then, you can get it topped with the basil. Then, you can order salmon accompanied with sausage, onion, and mushroom. This plate is yummy and huge; it will get you stuffed. If you need pasta, you can, preferably, have it accompanied with fettuccini, which is then topped with zucchini. You can also ask for alfredo sauce; it is full of cream and flavor. As for beverages, you can grab Malbec and vodka. You can grab other natural drinks and juices. The staff is very accommodating and attentive. Not only do they serve you, but they also make sure you have everything you need; they are always walking around the tables. They also provide complimentary desserts, such as pecan pie. With their natural drinks, you will find yourself freed from the traditional soda. And the prices are unbeatable for the quality foods and drinks. 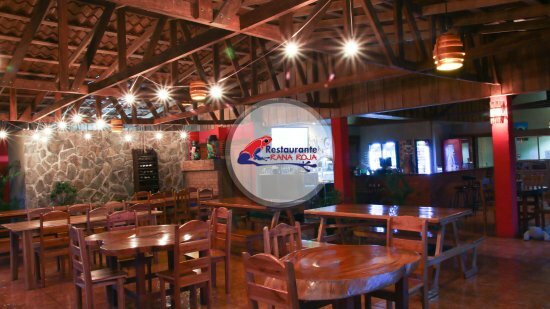 Situated in La Fortuna de San Carlos, Que Rico Arenal, a spacious restaurant, offers delicious dishes at unbeatable prices. This spot offers two choices: with its fast delivery, the clients can order their favorite dishes from home; the clients can also enjoy the food at the restaurant. 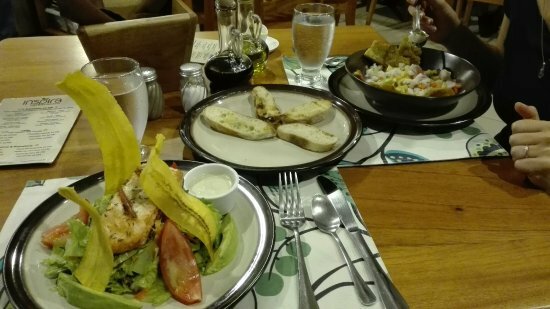 The latter is better as the food enjoyed at the spot is even fresher and tastier. So, you can get the food as you wish. 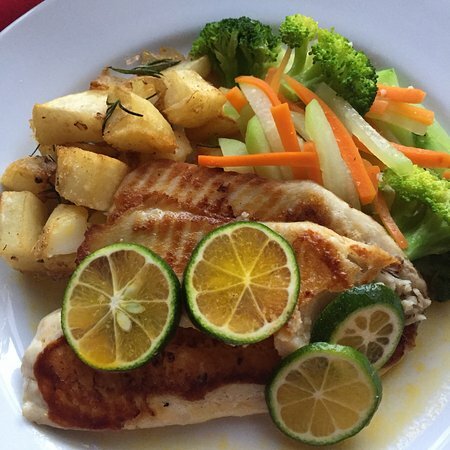 The menu offers local and Italian foods such as pizzas, ceviche, pasta, tilapia, chicken, shrimp, and much more. The food is cooked to perfection and served in large portions; any order you make will get you stuffed. So, you need eat less if you need the tasty desserts. Though every food is unbeatable, you need to order the pizzas; you can get it either meaty or veggie as you desire. They are made with excellence. You can also order the ceviche; the tilapia comes accompanied with shrimp, which makes it even larger. The staff is accommodating and kind to the visitors. As they bring their menu, they help the clients in their choice of foods by answering all their questions. After deciding on their food, the servers bring the entrées in no time. They always seek to ensure that every client is happy with their meals. Sometimes, the staff asks the clients to fill in a form to let them know what they think about their restaurant. As they fill in, the clients offer recommendations as to improvements. When the clients leave the spot, the kind staff gets a safe taxi for them. 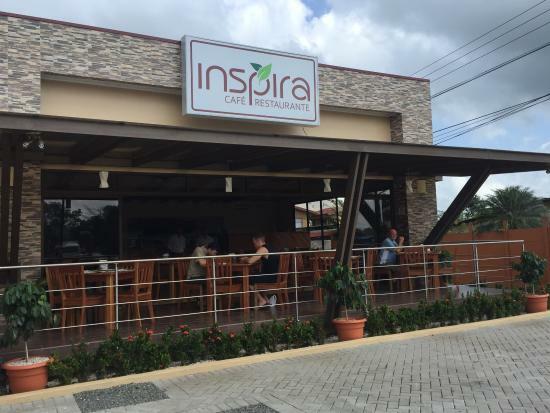 Inspira Cafe Restaurante is an amazing, famous spot in La Fortuna. It offers delicious dishes for all the ages, be it a child, teenager or an adult. You all can’t afford to miss this great spot. The menu offers both unbeatable veggies and meaty foods, such as chicken, tomato soup, picadillos, rice, Thai salad, pasta, tacos, and more. The food is served in large portions; you may eat it alone, if you are very hungry. Otherwise, you can share it with your companion. For entrées, you can order rice and chicken. This dish is wonderfully prepared with spices. It is loaded with fried yucca sticks, making the portions even larger. The Thai salad is prepared with grilled chicken, which is perfect for a gluten-free diet. You can also order cappuccinos and smoothies, if you like. The staff is friendly towards the visitors. They attentively take care of them. As visitors arrive at the spot, the servers familiarize them with their menu. After choosing their meals, the staff patiently prepares the entrées accordingly: if some clients want a gluten-free meal, the staff sees to it that they get it; those who want meaty foods will get them, too. Furthermore, the staff is fluent in English. So, visitors who speak only English have a better communication with them. This also helps guarantee their satisfaction with the services—the prices are very affordable.